A Voice SMS Service is similar like a text messages that you can send that's included a message with 30 seconds that other person can hear in the text message or get a recorded voice from other sender side.It is a pre-recorded voice messages to a mobile or landline networks across the country. The voice SMS services help the business person to enhance their businesses. It is an effective approach to connect with your customers. These services become the first choice of businesses and profitable to contact with customers, clients and giving them unique offers. It is the way where you can create an awareness about the offer and services. And it is even a safe way to send the messages. Through it you can let your customer to know about your events.To be in touch with your customer,you can send wishes to your customer through voice SMS. 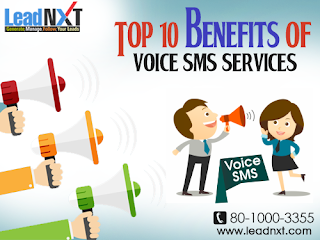 Industries that benefited by voice SMS services are E-commerce, Banking, Education. It is mostly benefited in several ways like; You can use this to update your customer and staff, feedback, number verification, It helps in bulk voice promotion for elections, also give reminders like insurance. Improve your engagement with your clients. Very nice informative thank you. 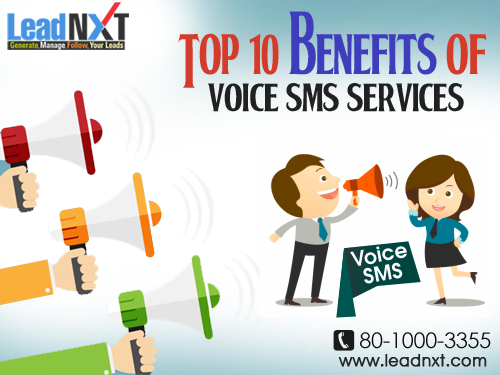 Very nicely explained the information regarding Voice SMS Services.